The Sunice Boulder Insulated Ski Jacket has a masculine look that’s perfect for guys who live for ski weekends and snowy forecasts. Thanks to a removable hood and low-key cool design, it’s also great for wearing off the slopes without looking like you just got off the lift. Two huge side pockets and an interior pocket provide space to stash your valuables, and an adjustable hem and powder skirt ensure snow stays out, even if you end up on your bum. 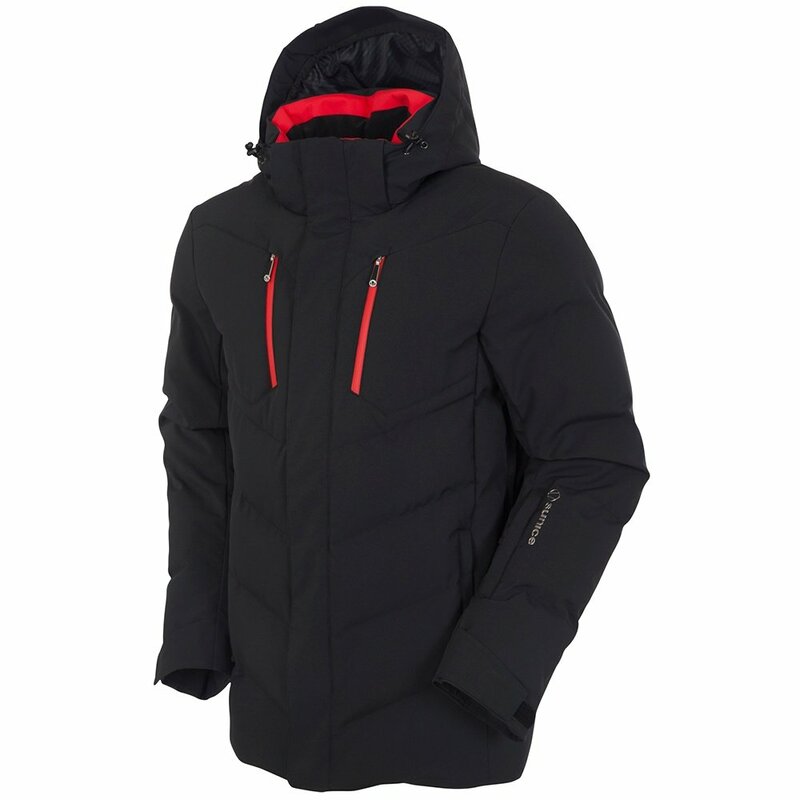 The Sunice Boulder Insulated Ski Jacket is a versatile winter ski jacket for men, perfectly at home on or off the slopes.